"4 Villas, Walk to Beach! Perfect Mini Resort, Retreat B&B." Looking for a great business opportunity? This property has 4 separately titled villas that can be sold individually, or if you prefer, create the perfect tropical B&B or Mini Resort - live in one villa and rent the other three. All 4 villas surround a beautiful tropical pool and gardens. 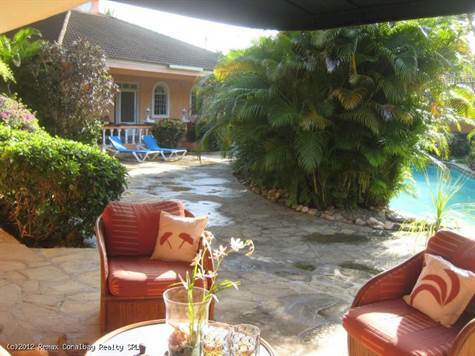 Each has a very private back yard and garden area, one with its own spa/plunge pool. Includes caretakers bedroom/bath. The estate sized property is just a short walk to one of the areas most beautiful, secluded beaches where you can walk for miles, or simply relax in peace. Contact us today for a video on this special property.